The 10 Best Mexican Restaurants in Colorado! Colorado’s Mexican restaurants vary from the surprisingly authentic to creative fusions. 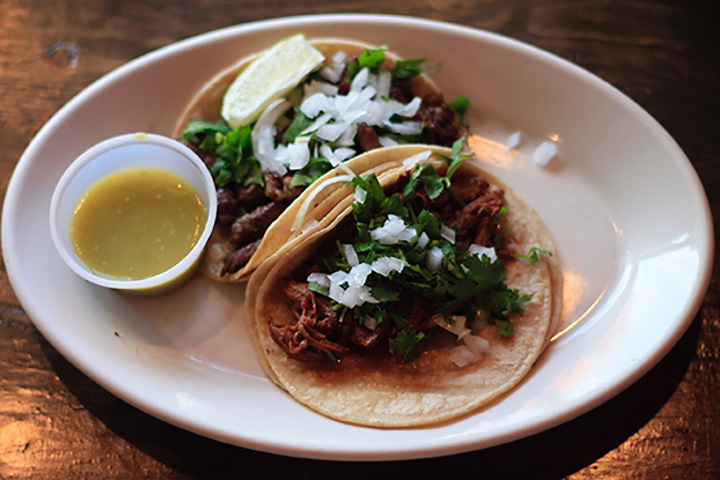 No matter if you’re looking for coastal flare, Tex-Mex, modern fusions or completely authentic, there is a Mexican restaurant in the Centennial State offering something for your taste buds. From tacos to chimichangas to topnotch tequila, there is always a fiesta happening at these 10 best Mexican restaurants in Colorado. Find three Los Chingones locations in the Mile High City. Los Chingones may not be the most authentic restaurant on this list, however it serves up Mexican-inspired fare that is sure to please. The “tres pigs nachos” is a great choice, made with sriracha-lime aioli, bacon, chorizo and of course cheese and chips. For an even more unique dish, try the guacamole topped with rattlesnake chorizo or order the duck carnitas. For an interesting twist on Mexican food, Los Chingones is the spot to visit. Find traditional Mexican food right in Denver at Adelitas Cocina y Cantina. The food here has such rave reviews that you will think that it came straight from Michoacán, Mexico. This restaurant is open as early as brunch and late enough for the night owls. One of the things that makes Adelitas stand out among the rest is the homemade sauces, from chile verde to mole. Don’t visit without trying a margarita, which is the perfect companion to any of Adelita’s entrees. For fresh and locally-sourced food, visit Salsa Brava. This Mexican restaurant, now with four locations, strives to serve up seasonal, Colorado-grown ingredients in every dish. There truly is an emphasis on fresh produce and meat here at Salsa Brava. The restaurant actually uses over 2,000 pounds of fresh tomatoes every single week. Try the coconut shrimp or the popular steak & avocado enchiladas. Head to Efrain’s for authentic Mexican food prepared like fare from the Mexican state of Chihuahua. For the last 30 years, Efrain’s has been serving the Boulder community with great Mexican food such as chimichangas, fajitas and menudo. The Pink Cadillac margarita is something that you should try while you’re feasting at Efrain’s. For fans of Tex-Mex, La Loma is the spot for you. The dishes are full of Southwest flavor, especially ones made with green chile. One of the best things about La Loma however is the fresh tortillas that are made in-house. The mesquite-grilled section of this restaurant’s menu boasts grilled entrees from chicken, shrimp and steak. The margaritas are even made with loving care since they are created with fresh fruits and juices. Tacos Tequila Whiskey has gained a national reputation for serving some of the best tacos in not only Colorado but the U.S. This food truck-turned-restaurant serves up some incredible street tacos. This Mexican restaurant gives you the freedom to create-your-own taco from a variety of fillings. Or choose from their winning combinations such as beer battered fish with slaw or steak with avocado and cilantro. Along with vegan and vegetarian options, this Denver restaurant also serves up 30 different types of tequila. “Mi casa es su casa,” is the motto at Inca Mexican Restaurant. The Rodriguez brothers started their journey in America in 1984 after moving from a small village in Mexico. Now, Inca has locations in Colorado as well as Washington State. Not only is the fare here authentic, the vibe will transport you straight to Mexico. Colorado doesn’t have a coast but Lola Coastal Mexican Restaurant will make you forget how far we really are from the ocean. With a menu inspired by the coast of Mexico and with cocktails carefully crafted to perfection, the seafood and tequila lover will feel right at home at Lola’s. Lola Coastal Mexican Restaurant features over 200 kinds of tequila, meaning that your margarita is sure to be prepared to your liking. Find a variety of seafood options from oysters to octopus. With three locations in Colorado, Los Dos Potrillos pleases Coloradans with authentic Mexican food. With a large menu and flavorful fare, any Mexican food-lover will find their favorite dish at Los Dos Potrillos. A local favorite is the tacos de carnitas served with avocado. On a sweeter note, the sopapillas prove to be a happy ending to anything you chose for your meal at Los Dos Portrillos. This authentic, family-oriented restaurant in Colorado Springs is open seven days a week, and is serving up truly genuine fare. Find mouthwatering burritos, tostadas, and enchiladas, as well as great options for the kids and even vegetarian plates! Don’t forget to try their flan or deep-friend ice cream for dessert.